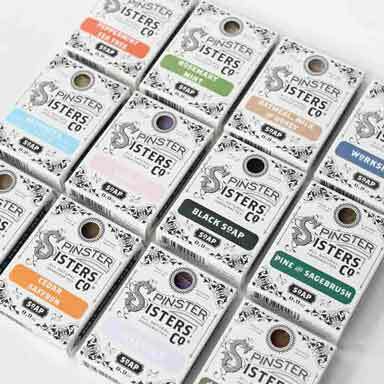 Lip Balm | Lip and Face Care | Spinster Sisters Co.
Our Lip Balm is hard to beat. 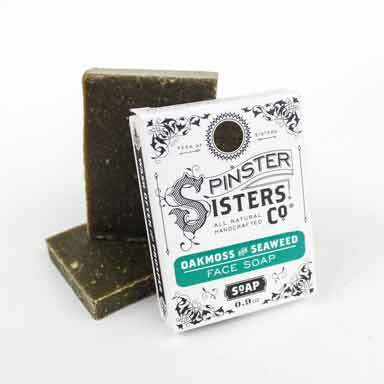 It's made with beeswax which seals in moisture and protects skin from environmental toxins, as well as coconut oil which is a natural soother for dry, chapped, and flaking skin. 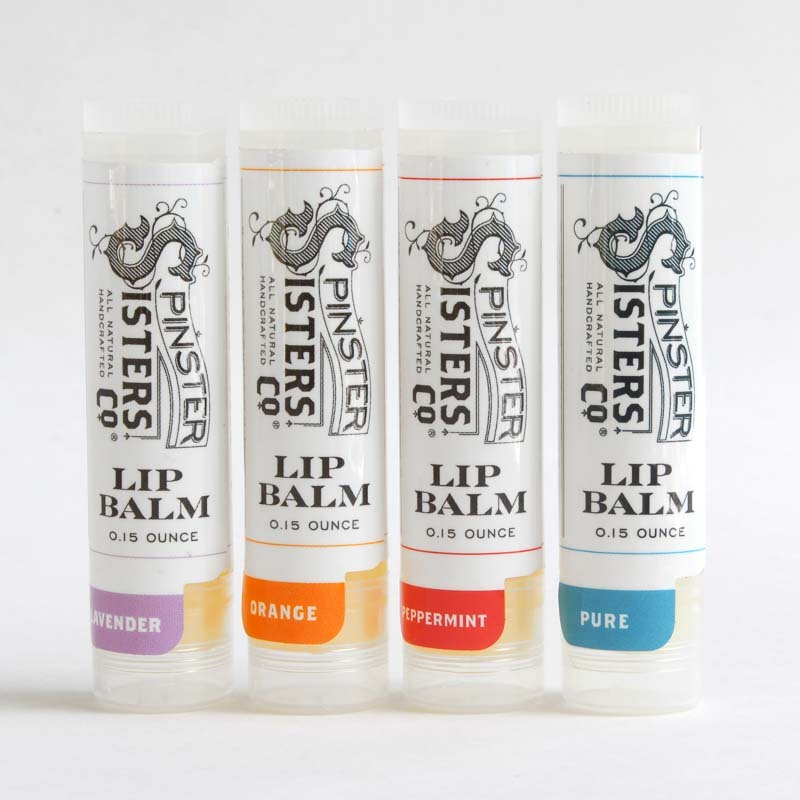 This Lip Balm will leave your lips moisturized without feeling waxy. HOT TIP: Our lip balm works great as a base before putting on lipstick! Use it on top of your matte lipstick to keep your lips from drying out. I don’t think I’ve ever written a product review online before, but this one deserves it - incredible lip balm! I started getting severely chapped lips a couple years ago; they were painful and peeled regularly, and I even got some long-lasting discoloration. I tried so many products unsuccessfully - I didn’t expect much when I happened upon this one, but it works SO well. My lips are smooth and soft again, and even the color returned to almost normal after a few months of use! I now use it regularly and it has continued to impress. 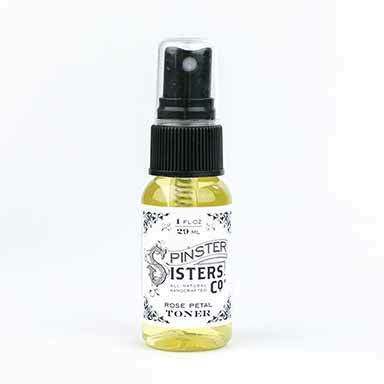 Thank you Spinster Sisters! This is the BEST lip balm I’ve found! I live in a very dry climate and have super dry skin- this balm keeps my lips baby soft. The orange is dreamy and my favorite before bed is the Lavender- the smell is so relaxing. Great price point! This is the best lip balm I've ever used! I originally bought the orange one in the Denver airport, and I had to go online to order the peppermint one. Very moisturizing with the perfect amount of scent. I absolutely love this lip balm. It goes on like butter and smells magnificent. I don't want to use anything but this since I first tried this. I will be ordering this from out of state because of how great it is. 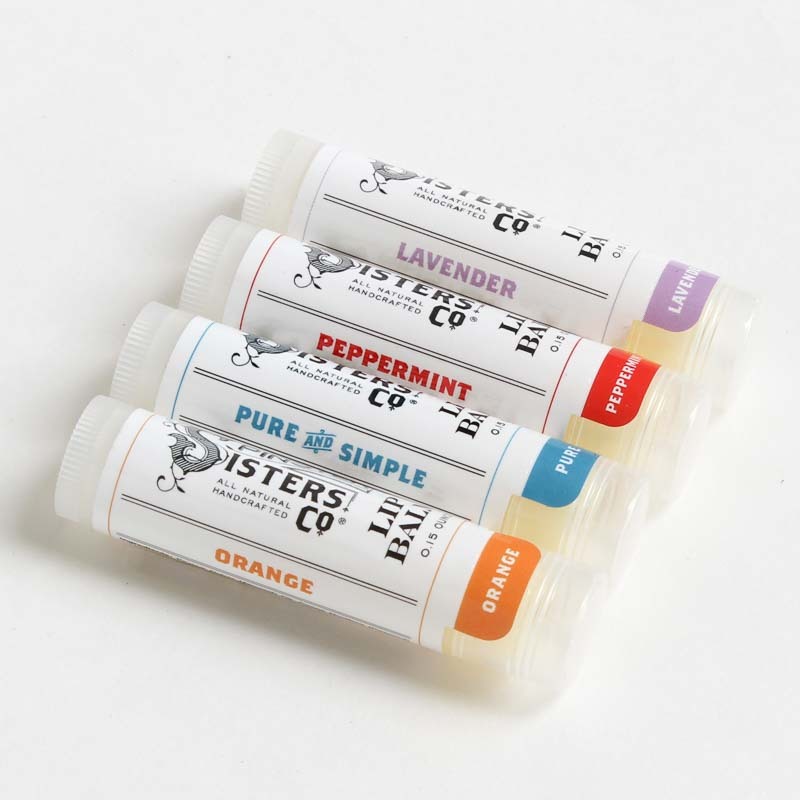 Q: Does the price of each tube of lip balm decrease if you order them in bulk (as in 5-10)? Thanks! Uncap Lip Balm and apply to your deserving lips. 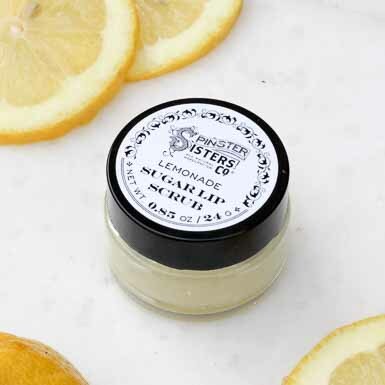 Fans of beeswax-based lip balm will appreciate the light and moisturizing feel of our plant oil blend.